LG’s new phone is slated to be launched on 2 may, 2018. Although LG has not given away any details or specifications about the product but its pretty much clear from the information from different sources that what this phone has to offer. LG’s project LG G6 was announced in the year 2017 in the month of February. The USP of LG’s this phone was its 18:9 ratio display and with this, it became the first phone to do so. LGV 30 was launched in August of the year 2017 and was even more efficient than the previous version. LG G7 ThinQ will be waterproof so you can take it out without worrying about getting ruined in water. LG G6 has a very sleek body and chic metal design with round corners and it also has fingerprint sensors located beneath its dual camera to enhance its security. It has high durability against water and dust and it has 148.9 x 71.9 x 7.9mm measurements. While LG V30 has even slimmer and larger body which gives it an edge over G6. Its measurement is 151.7 x 75.4 x 7.4mm and has a weight of 158 grams. LG G7 resembles LG V30 in its looks but LG G7 has a bigger screen and has got better than the LG V30. Although the dimensions of LG G7 are not announced yet there are speculations that the phone will be available in wide variety of colours like platinum, rose, black, grey and many more. An IP68 rating for water protection is being expected for LG G7 as that’s what G6 and V30 got. LG G6 gathered attention because of its display, it has a 5.7-inch long screen with IPS LCD screen and an HD+ resolution with pixel density of terrific 564 PPI. It contains mobile HDR and is compatible with both HDR 10 and Dolby Vision and it is the first phone with an aspect ratio of 18:9 for the year 2017. The LG G7 ThinQ has moved a step forward by reducing the bezel and dedicating more space to display. Although the LG V30 also offered a wide display the LG G7 ThinQ has more space on its top. According to the rumours and the leaked pieces of information, the phone will measure diagonally 6.1 inches and will offer an aspect ratio of 19:9 and will consume very less power. The LG G7 ThinQ might have HDR Skills as well as Dolby vision with HD+ resolution. The camera is one of the most sought-after featuring of any phone nowadays. The dual lens rear camera of LG G6 has a wide angle of 125 degree which allows you to capture images in a creative way. The LG V30 offers a 16 and 13-megapixel camera and a wide angle to allow you to explore your creativity. LG G7 is speculated to have a dual camera of 16 megapixels on rear and it too has the ability to capture wide-angle images. The phone will supposedly be able to take good and clear pictures in dark too. The LG G7 ThinQ’s camera is assisted by artificial intelligence, it is not very surprising as LG V30 ThinQ already had this feature. It is also being said that this phone will be able to HDR video. The best part about LG G6 phone is its front camera with 5 megapixel which has an aperture of f/2.2 and also had a 100-degree wide angle lens and the LG G7 might also have almost identical feature. The LG G6 had a Qualcomm Snapdragon 821 chipset and 32 GB internal storage with 4 GB RAM. It also supports microSD card and has a 3300mAH battery embedded into it and it can be charged with a USB type C.
The LG G6 was launched with an older version of the hardware. The LG V3O had a Snapdragon 835 and was way more powerful that LG G6 and provided a larger storage space. If we believe the rumours the LG G7 ThinQ will be even more advanced as it might have the Snapdragon 845 which will make it better and faster as compared to LG G6. The RAM might be of 4 GB and the storage can be of 64 GB. Anything has not been said about the battery but it for sure will be fast charging. LG G6 had an LG UX 6.0 software with Android Nougat and the V30 had Noughat but this time LG has promised some upgradation. A lot of stress is being put on artificial intelligence and it has set the hopes high and it is also being expected that the G7 ThinQ will have Android Oreo. It is also being said that this phone has approximately thirty voice commands and it is a bit similar to Samsung’s Bixby. The major attraction of Lg phones is its cost, these phones offer good features at a comparatively low price which gives it an edge over its competitors. The LG V30 now has a price of 599 pounds in the United Kingdom, when it was launched it had a price of 799 Pounds. The price LG G7 will be more or less near to 799 Pounds. The LG G6 failed to leave a mark on the customers as it did not offer many exciting features and soon became outdated. 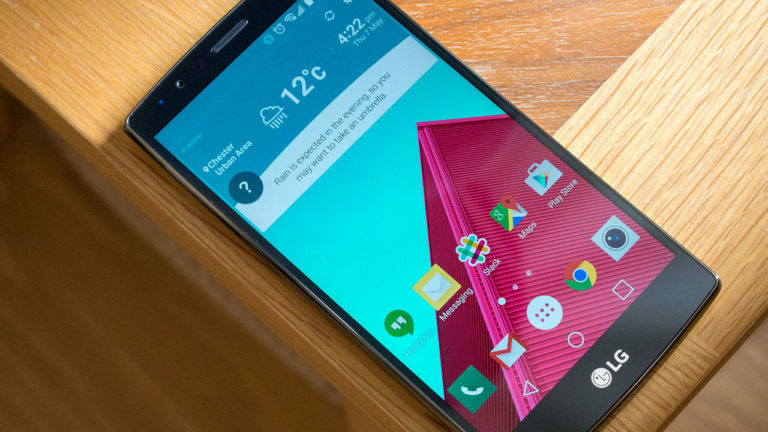 The V30 remained in the market for a while as it was more advanced than G6 and had a wider screen and better design. The LG G7 ThinQ looks like a nice package with a wider screen and better software and hardware. The camera quality has also been improved in G7 ThinQ making it more attractive. Another major attraction of this phone is the introduction of AI which will make it more convenient to operate. Although to know about all the features of G7 we will have to wait until May 2.